So today the Mansfield Motor Speedway team, after the recent backlash that we faced after people not fully understanding what exactly it is that we are trying to achieve here, decided to make a post that features one of the favorite dirt races on the newly installed dirt track. This is sort of a peace offering to the people who attacked us, to show that we are also fans of the dirt track at Mansfield. It’s just that we are also fans of asphalt there. 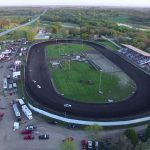 What you’re seeing in this video down below is the Mansfield Motor Speedway qualifying feature which took place on the new dirt track on April 27th this year. Most of the “Keep Mansfield Speedway The Way It Is” team has actually visited this race, as we visit and enjoy in pretty much every race on the new dirt track. As we’ve mentioned already, we don’t have anything against having a dirt track on Mansfield. However, we would just like to make our voices heard about asphalt being our track surface of choice. We would like to see if it’s somehow possible to have the best of both world. This race on the video above was awesome. If I recall correctly, it even rained a bit, which made things that much more interesting. Check the video and I hope you enjoy it. Today we’re going to be taking a look at one of the favorite races of ours which we witnessed at the Mansfield Speedway. Luckily enough there is a 4 part YouTube video of the race, so we can post it here for everyone to enjoy. 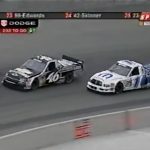 This is a race from 2005 and because of it’s from 2005, this is an asphalt race, just like the ones that we here at Mansfield Speedway love the most. 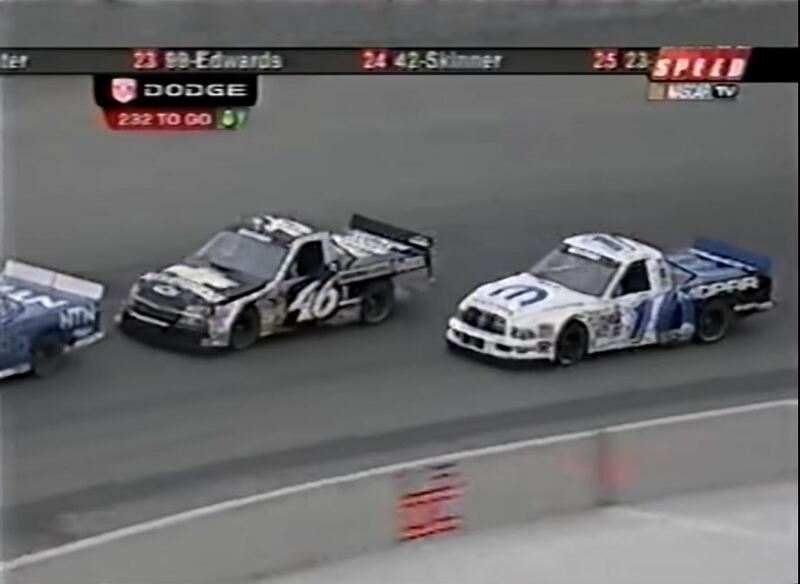 So the race that we’re talking about is the 2005 Craftsman Trucks 250. Video posted down below is a 4-parter which covers the better part of the race. Quality might not be the best, but you have to keep in mind that this was recorded way back in 2005, before HD quality video recording hit mainstream. I was actually present on the race and I saw it live, with my dad. I was 14 at the time, and I had the time of my life watching the race. Competition was fierce and there many takeovers, crashes, and burnt tires, basically everything that makes a race great. This video is just one example out of many of why we here at the movement want to see asphalt making a comeback in some form. 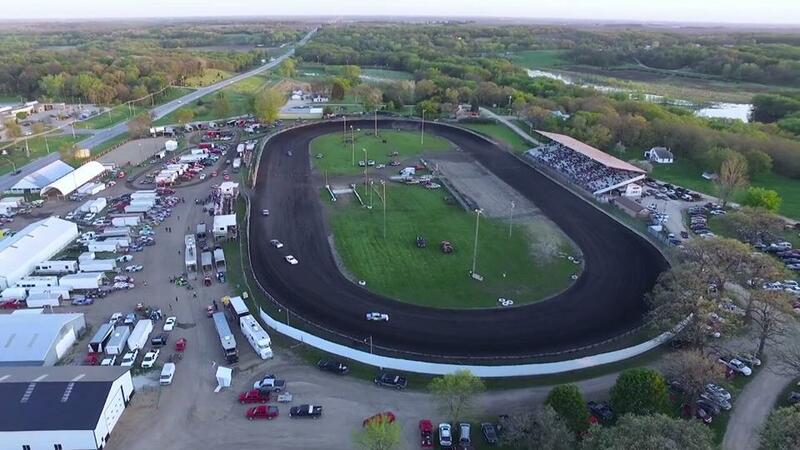 From the entire team, we hope that you liked the video and please share with the rest of us what your favorite race on the Mansfield Speedway is. 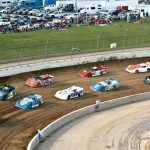 Two track Mansfield Speedway – can we have both dirt and asphalt? We recently received a very unfriendly email (not the first and certainly not the last) from an individual calling us names and pointing out how we wasting our time trying to get Mansfield Speedway back to asphalt. That’s what prompted us to write this post, just to clarify what our position here is exactly. First of all let us make it clear that what we’re proposing isn’t a complete shift from the dirt track at the Mansfield Speedway. We are not trying to take away the tradition of having a dirt track at the Mansfield Speedway. What we are suggesting is a compromise of sorts. Since the audiences who have visited the speedway have been used to seeing a dirt track, what we want to suggest is that we see both an asphalt track and a dirt track. There must be a way for both of them to coexist somehow. It’s something that the owners should take under consideration, but it of course depends on whether or not it’s profitable for them to do so. We can dream and hope, can’t we? As we have already mentioned elsewhere, we are huge fans of the Mansfield Speedway and for this reason we are going to be making frequent posts about it. We’ll start off by making a post about the upcoming event that are going to be taking place at the track. Yes, you’ve read that right. Even though we are trying to push through our own agenda of seeing asphalt return on the track at the Mansfield, we still love visiting and watching races that occur on the current dirt track. Unfortunately fans of seeing events at the Speedway will have to wait a long time before the next race. 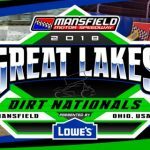 The next event is planned for August 10th, the Great Lakes Dirt Nationals. You can find more info about the event on the previous link. It’s a multi-day event which will conclude on the 11th of August. Needles to say, we’re going to be seeing dirt racing. We hope you come and visit the event because we don’t want to see a repeat of the track closing like it did back in 2010. Event might not be asphalt, but we will still be there in support of our favorite venue on the world. We hope you come too and enjoy the show. One way how you can make your voice heard about bringing asphalt back to the Mansfield Speedway is by voting in this poll down below. Now obviously this isn’t anything official, but it will still show what people who are fans of the racing track at Mansfield Speedway really think. So cast your vote now and let the world know what they think.